Home / Rhun ap Iorwerth takes part in LeadHerShip Campaign to encourage young women to consider a career in politics. Chwarae Teg’s LeadHerShip programme hopes to inspire the next generation of future leaders. Plaid Cymru Assembly Member Rhun ap Iorwerth is encouraging young women in Ynys Môn to consider a career in politics, and learn more about what life is like as an AM through Chwarae Teg’s LeadHerShip programme. LeadHerShip gives young women aged 16-22 the chance to shadow an Assembly Member for the day and learn about how key decisions are made in Wales. This will involve getting first-hand insight into day to day life of an AM, learning how the Assembly Works, a Q&A with women AMs and a mock debate, where participants will discuss the role of women in Wales today. Women are still notably absent in many decision-making roles in Wales; while the Assembly is performing well with 47% of AMs being women, the number is much lower for women Councillors, and women MPs, at just 28%. Chwarae Teg wants to make sure that women’s voices are heard at every level of decision making, and that young women are encouraged to speak up about the issues to matter to them. LeadHerShip hopes to provide a platform for these views to be heard, and to encourage more engagement with Welsh politics. 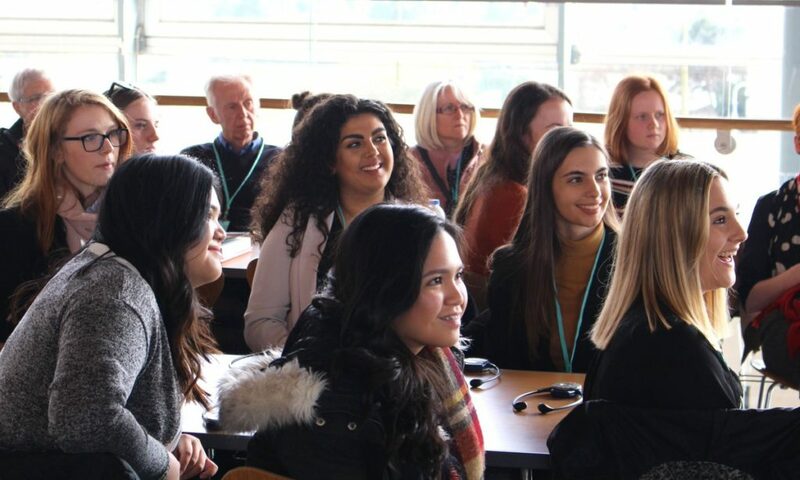 Rhun ap Iorwerth said: “After the success of last year’s LeadHerShip, I’m pleased to be taking part again and offering young women in Ynys Môn the chance to get an insight into Welsh politics. This is a great opportunity for young women to get their voices heard, and learn about how the Welsh Assembly and Assembly Members work for them. Natasha Davies, Policy and Research Lead at Chwarae Teg said: “We started #LeadHerShip last year in order to give young women a real insight into the political opportunities available to them. It was very successful and well received by the young women and AMs alike, so we’re hoping for more even applications this time around. Women in YnysMôn who wish to apply to take part in LeadHerShip can apply at https://chwaraeteg.com/projects/leadhership19/ by Friday 15th February.